In times of agricultural economic downturn, some of us look for ways to increase our income by diversifying into something new or adding different agricultural endeavors to our existing operations. While diversification may sound simple at first, there are many questions you should ask yourself before jumping into a new enterprise. 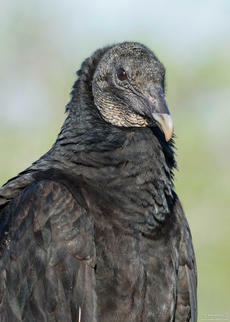 Kentucky Governor Matt Bevin has signed a resolution, sponsored by Representative Brandon Reed, that urges the United States Fish and Wildlife Service (USFWS) to issue more permits to farmers allowing the killing or capture of black vultures. The resolution also urges the USFWS to shorten and streamline the application process for receiving a migratory bird depredation permit. Many farmers have found it difficult to protect their livestock from harm, due to unnecessary bureaucracy on the federal level. With summer just around the corner, it is time for Kentucky 4-H teens to register for the 2018 Kentucky 4-H Teen Conference. 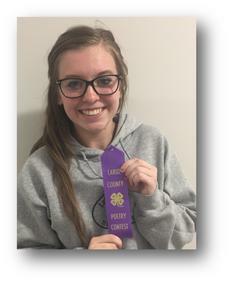 The Conference takes place at the University of Kentucky June 11 through 14 and is open to all 4-H’ers who have graduated eighth grade through the age of 18. During the conference, 4-H members have the opportunity to experience dorm life in UK residence halls, attend educational and recreational workshops and meet new friends from across the state. The LaRue County Cooperative Extension Service invites the community to an open house from 4-6 p.m. on Thursday, April 26, at their newly remodeled location at 807 Old Elizabethtown Road in Hodgenville. The annual presentation of the Bobby McDowell Award will be made at 5:30 p.m. For more information call 270-358-3401. It’s that time of year when we get more thunderstorms. Weather patterns are more active, and storms thrive with the moisture and rapidly rising warm air that is very common during the transition to warmer seasons. 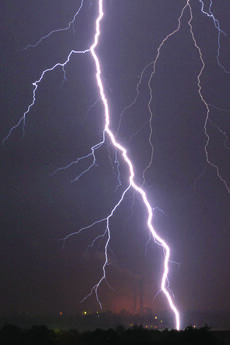 Stormy conditions also increase the potential for lightning to strike people at work or play outdoors and, possibly, while they’re inside a building. Although thunderstorms are more common during the spring and summer, they can take place all year long and at all hours. There will be a Gardening Class at the LaRue County Cooperative Extension Office from 6 to 7 p.m. on Monday April 9 and the topic will be about how to properly care for your vegetable garden during the growing season. For more information contact the LaRue County Extension Office at 270-358-3401. Farming comes with its own set of risks. As a farmer, it is important for you to develop a strong working relationship with your lender. You should view this relationship as a partnership with the goal of long-term success for both parties. Like any relationship, this one should be built on honesty, trust, communication and understanding by both parties. If one of these components is missing, it’s going to be hard for either of you to have a good experience and could result in tension, or even worse, termination of the partnership. Remember to include sprayer maintenance in your spring cleaning tasks. It will ensure that your spray equipment is ready for the planting season, and save you time and money down the road. Taking care of sprayer maintenance prior to the hectic growing season can prevent time-consuming equipment breakdowns, higher chemical costs, reduced pesticide effectiveness and potential crop damage.